This ride on Giraffe has a brown and cream neck and body colourings complete with a fluffy brown main. This costume can be easily worn over any outfit. Easy adjustable straps with Velcro fastening. 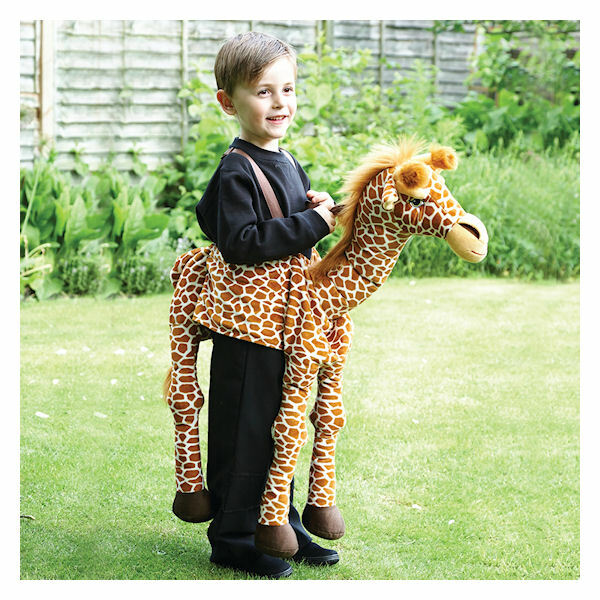 None specified at present for Ride on Giraffe by Travis Dress Up By Design. The majority of our costumes are WASHABLE on a gentle 40ºc cycle. All washing instructions are clearly labelled in the garment. A jolly looking Giraffe with a brown & cream neck and body colourings complete with a fluffy brown main. 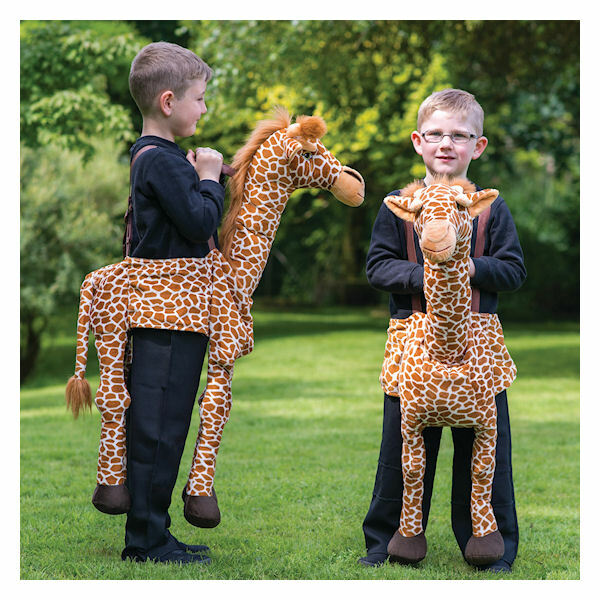 This costume can be easily worn over any outfit with easy adjustable straps and Velcro fastening. In a lovely soft plush finish and finished with embroidered eyes. 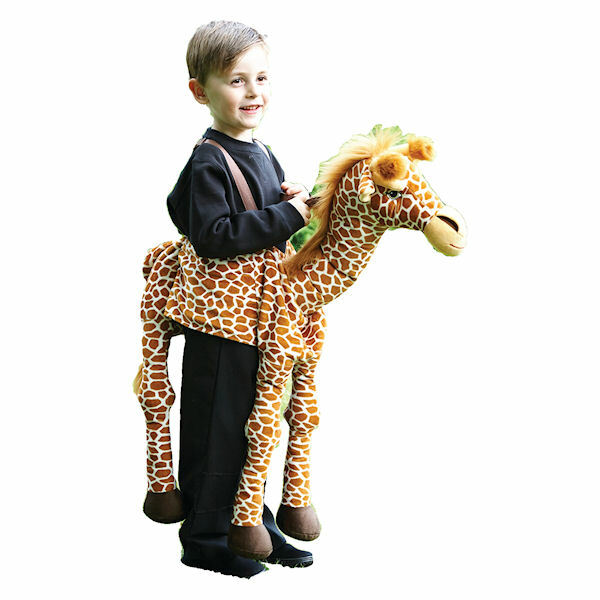 There are no videos for Ride on Giraffe by Travis Dress Up By Design at present.